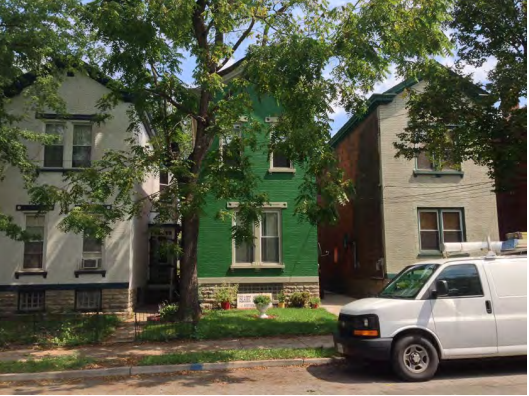 The Islamic Association of Northern Kentucky can remain in a residential neighborhood - with conditions - Covington's board of adjustments determined last week. Issues over noise, parking and traffic, and use of the space were addressed during the meeting. The Center, which operates at 1416 Garrard Street, has a tentative agreement to allow its members to park at the site that currently houses the Life Learning Center (which will be moving to the Stewart Iron Works building soon). "There would need to be a parking agreement with a conditional use permit," said Andy Juening, Covington's zoning specialist. After receiving complaints over the summer about noise, parking, and use of the space as a religious assembly, Juengling discovered that the Center did not have a permit. A home occupation license was issued in July, but it noted that there were several concerns that the building was being used for religious assembly. The City determined that the use no longer qualified as a home occupation, and Muhammad Ameen applied for the conditional use permit. "This is not a mosque or church. This is a learning center," Ameen wrote in his applicaiton. The space is used, "To help learn and teach people of Islamic faith what God requires of us as human beings. To help all young and old to respect all human beings. To help our youth to be educated. To respect other human beings and respect for self and others." Ameen was joined at Covington City Hall last week by dozens of supporters as well as representatives from the Council for American Islamic Relations (CAIR) Cincinnati chapter. "Covington is an urban and richly diverse community so that means a variety of services are needed in close proximity of each other," said Karen Dabdoub, executive director of CAIR Cincinnati, noting that there are churches nearby in the residential neighborhood, including one a block away. "Many of the association members walk to the location for services on a daily or weekly basis." Dabdoub explained that the association is saving money to purchase a larger facility some time within the next five to seven years and that it is aware of parking concerns and has taken steps to alleviate them. Those concerns typically arrive during Friday prayers, the Center's busiest day. Ameen agreed to no longer use a call to prayer as the noise was described as a nuisance by some who complained. "They moved it indoors after the concerns were raised," Dabdoub said. "Should there be any other noise concerns, they ask that the neighborhood bring those concerns to them directly so they can address them right away." 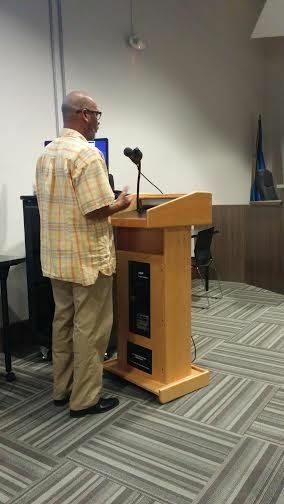 Ameen also presented a list of names of neighbors supportive of the Center's continued presence. CAIR's attorney, Booker Washington, warned the board of possible legal ramifications of any decision that would not have permitted the Center to continue its operation, citing the Religious Land Use and Institutionalized Persons Act. "The Islamic Association has already taken steps to eliminate the concerns," Washington said. "This would allow the city to avoid any federal lawsuits." The board unanimously approved the conditional use permit pending all zoning regulations and ordinances be complied with, a parking agreement recorded with five or more spaces available, and no outdoor calls to prayer, as well as addressing an issue related to the Center's sign placement. The Center will need to comply with the city's sign regulations.